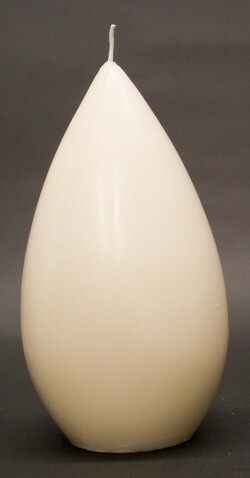 This beautiful modern tear drop pillar has a 2 1/4" base, 3 3/4 " dia. x 7 1/4" high. Made with a natrual soy wax and cotton wick for clean long burning. Burns about 120 hrs. Pillars are now made with a natural soybean blend wax and cotton wicks, burning cleaner and longer. High quality oil is used through the whole candle, the scent lasting for the life of the candle. Lightly brushed with gold for a beautiful finish, unless you request to leave the finish off. Cotton wicks used. Burns 200 Hours. Made with a natural soybean wax for a clean and longer burning time. High quality oils are through the whole candle, the scent last for the life of the candle. Lightly brushed with gold for a beautiful finish. Cotton wicks used. (White Only) 6-1/2" high. Burning time about 110 hours. Made with a cotton wick and natural soybean wax for cleaner and longer burning time. Our high quality oils are through the whole candle, meaning the scent will last for the life of the candle. Width x Height 2/78 to 3 1/2 x 7 3/4 Enter the full description of it here. Burning time about 100 hrs. 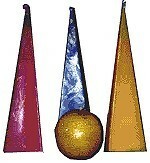 This pyramid is made from a imported English mold, using a soybean natural wax for a cleaner longer burning candle. High quality oils used through the whole candle, the scent lasting for the life of the candle. Lightly brushed with gold for a beautiful finish. Cotton wicks used. Burn approximately 25-30 hours. Made with a natural soy wax. Rush orders are put at the top of the order list and shipped in 4 days, sooner if possible.